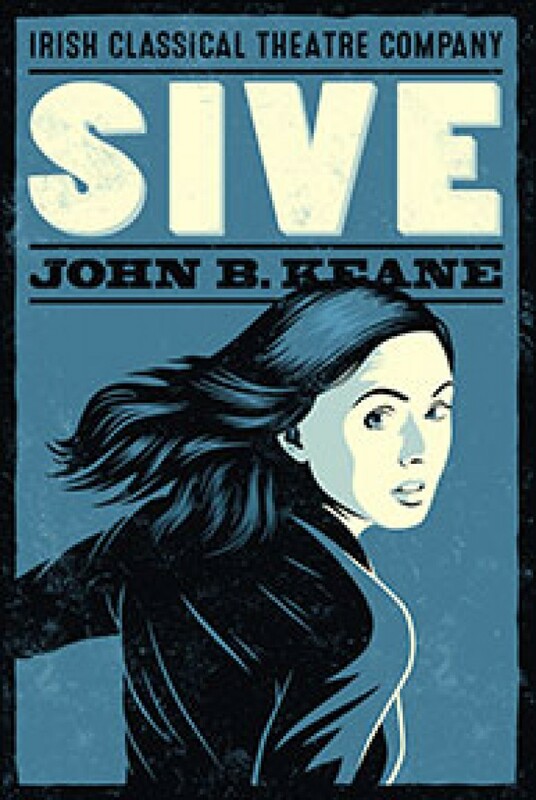 Irish angst is center stage at Irish Classical Theatre in their excellent production of the popular Irish play, Sive, by John B. Keane. Written in 1959, the play is an exploration of how years of grinding poverty and the misery it brings can fuel bitter resentment and greed in those living under its yoke. Set in the remote southern mountains of Ireland where, even in the 1950s, donkey carts were the main mode of transportation and a man owning twenty cows was rich indeed, the Glavin family lives hand-to-mouth in their small farmhouse without indoor plumbing or electricity. Mike Glavin, head of the household, has taken a job digging peat in the local bog to supplement the family income from the farm, an indication of their desperate situation. His wife Mena and mother, called Nanna or Old Woman, never have a kind word to say to each other, shouting insults and curses back and forth whenever they encounter one another. The last member of the family is Mike’s niece, Sive, a sweet young girl eager to learn from the nuns at the convent school she attends. The daily misery of their lives is interrupted when Thomasheen Sean Rua, the local matchmaker, arrives to tell Mena that he has a match for Sive. Sean Dota, a very rich, very old man, has his eye on Sive and will pay handsomely to wed her. Childless herself and resentful of Sive’s education, Mena sees a way out of the drudgery that is her life and agrees to conspire with him to make the match. Mr. Keane has a fine ear for the lyricism of even the angriest of insults and curses that spew forth from his characters as they fight and try to convince each other and themselves in round after round of argument that the match is a good thing. By the end of Sive, we feel we know these people because each character is finely drawn. We learn what drives them, what they fear and what they desire, and what their dashed hopes have done to them. Aleks Malejs is brilliant in her role as Mena, the angry, resentful, smart and cunning woman who seizes the opportunity she is given to have an easier life with an overarching greediness. Ms. Malejs exposes a bitterness that is gut-wrenching and a rage that is frightening in Mena’s determination to have her way. Anger and resentment pour out of her, and even when she flirts with her husband, her ulterior motive is never in doubt. She is a woman on a mission, and there is no stopping her. Patrick Moltane is Mike, and we see him torn between his love and sense of responsbility for Sive and his mother, and his hatred of the young man who loves Sive, his need to be in charge of his household, his desire to please his wife, and his own greed. He says late in the second act that it is hard to be a good son and a good husband with a mother and a wife in the same house. Mr. Moltane traverses the pitfalls of that conundrum throughout the play. The Old Woman loves her corn cob pipe, and Josephine Hogan has a fine time hiding it from Mena, sneaking it out when no one is looking, and gleefully lighting up. She glides around the room in a long black dress and shawl, her grey curls framing her mischievous smile. Plus, she gives as good as she gets with Mena in their battles. Ray Boucher is like an engine picking up steam as Thomasheen, the matchmaker. His language is florid, and he talks non-stop once he gets going, with insults and convoluted arguments gushing out of him whenever he senses he may be thwarted in his single-minded determination to make the match. 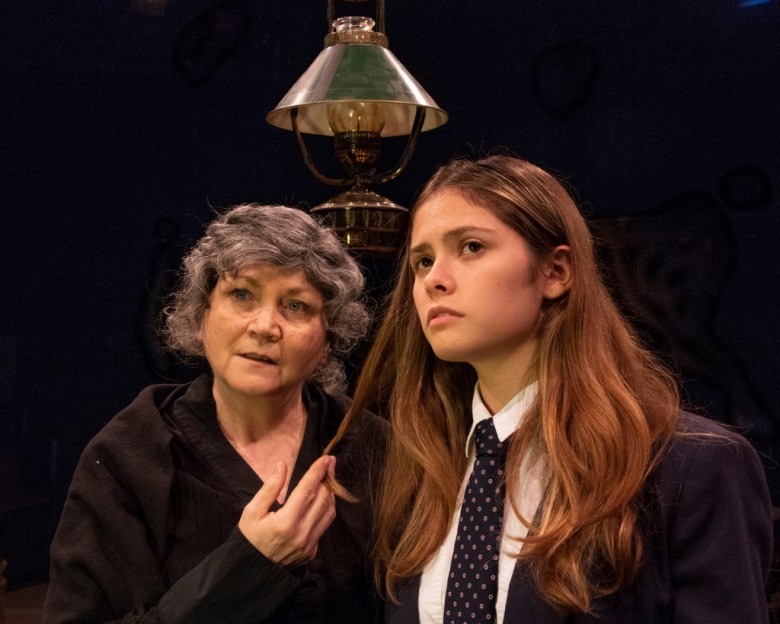 Sive is played by high school senior Kiana Duggan-Haas, whose youthful sweetness comes across very well, but she does seem tentative at times in embracing Sive’s fears and anger. David Lundy as Sean Dota, coughs and spits, hobbles and trips like the worst nightmare of an old man a young girl could have. Peter S. Raimondo does well as Liam, the young man in love with Sive. Gerry Maher and Johnny Barden play father and son itinerants who wander the countryside. The Old Woman calls them “men of the road,” and welcomes them into the farmhouse. The son, Carthalawn, is a “half-fool” who plays the bodhran drum and sings ditties that sometimes foretell the future. Gerry Maher is the father, Pats, whose kindness is a welcome respite from the anger that permeates the family. The men add much appreciated color to the proceedings. The set, props and lighting are by Brian Cavanagh. The farmhouse is rustic with plain mismatched furniture, none of which looks comfortable, and low-key lighting that adds to the gloom. Artistic Director of ICTC, Vincent O’Neill, directs Sive. Its 2-1/2 hours seem like less as the very well-written dialogue is delivered at a rapid pace that is easily understood and nothing is drawn out for “effect.” For instance, Ms. Hogan’s pipe bits are just enough to be humorous and make a statement without being carried to an extreme. Sive is rich in its language and as a look into a past time and place. Its story of the resentment and greed that poverty can spawn is as relevant today as it was in the 1950s in rural Ireland. Sive is at Irish Classical Theatre until November 25th.